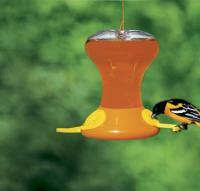 I just received my oriole feeder. 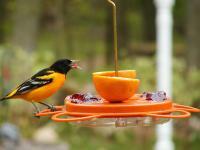 We have a family of orioles that come back every spring! They always drink from the hummingbird feeder so I thought this would be better for them. We have a beautiful lemon yellow male and the female too and their offspring! 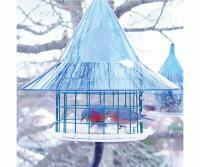 I love to watch them and listen to them chirp and fly around the backyard. We have fruit trees and they eat the flowers from them. So pretty I love these birds. We have yellow finches too. The item is as it was described and the order arrived quickly! I have not used it yet; like the way it looks. 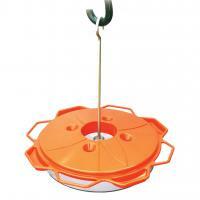 I rate the oriole feeder a 3 because it was easy to fill, and clean. 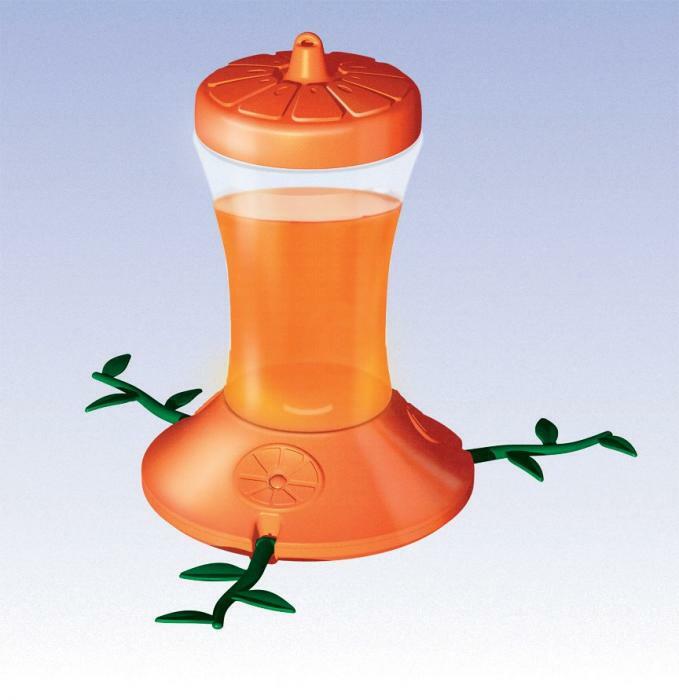 Ants and bees did not seem to bother it like they do my hummingbird feeder. 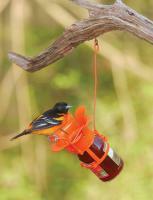 Although I have yet to see an Oriole actually use it, I will try it again next Spring. I believe that I put it out too late in the season this year to attract the local Orioles...I did see a hummingbird trying to eat from it though. 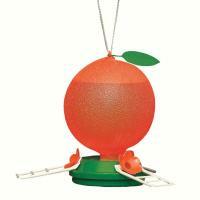 Great product and it will be 5 when I spot an orange birdie on it! Too hard to clean. The opening is too small to get in and clean. Bottom cleans well. Wouldn't buy again!